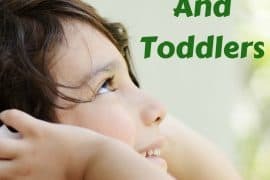 When you travel a lot, you quickly learn, how vital it is to have travel luggage that is sturdy and of high-quality especially when you travel internationally. Additional important factors are also the size and the weight of your luggage, either a suitcase or backpack. 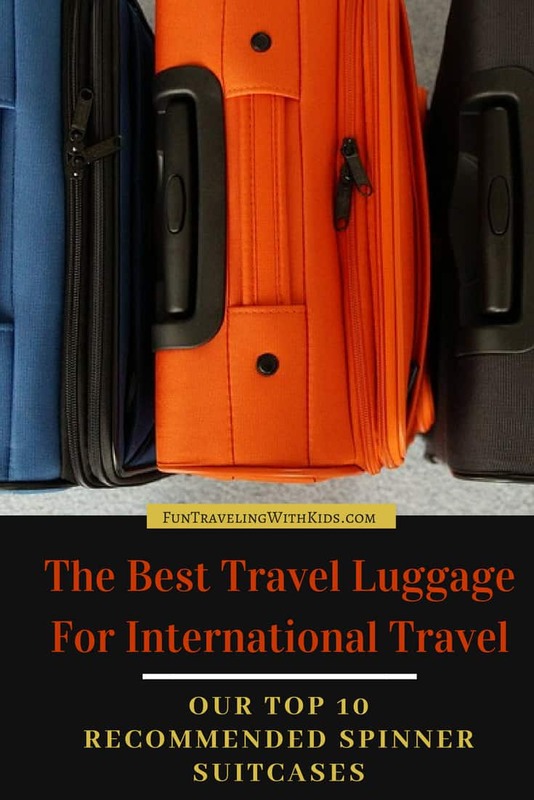 Our detailed guide of top choices for the best international travel luggage will not only review the best spinner travel luggage but also discuss the benefits of rolling luggage and some handy packing tips. Depending on where your journey will take you, you can either choose a soft-sided, or hard-sided rolling suitcase for domestic or international travel. Some travelers prefer (we do at times) a carry-on backpack. 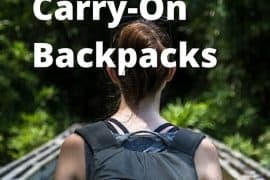 Read more about our top choices of carry-on backpacks here. It can be challenging to decide between hard or soft-sided spinners. Hard-sided spinner luggage seems to have better protection for valuable belongings. We have found that soft-sided luggage weighs less then hard-sided suitcases, seem to last longer, and is easier to pack. Both types of luggage have their benefits. So we divided our post into two parts; the first part is dedicated to soft-sided rolling (spinner) luggage, and in the second part we are reviewing our top choices of the best hard-sided luggage. Due to the rough handling at airports, the luggage has to be extremely sturdy and durable. In the long run, it is worth to invest a bit more money in a good quality brand which might cost more but will last for a long time. I’ve learned it the hard way since one of my suitcases, even though it was not a cheap type, didn’t even survive the first flight. We have found significant differences in the quality of suitcases, regarding the material, handles, and wheels. For easy reference, please use the table of contents and also our handy comparison charts for a quick overview of essential features at a glance. Please note that none of our reviewed suitcases are suitable as carry-on luggage. There are all checked luggage. If you are looking for carry-on luggage on wheels, please read our post here. 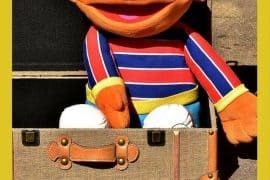 Let’s get straight into it and have a look at our favorite suitcases. 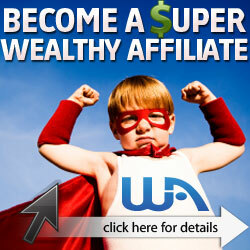 If you would like to check the price, please click on the link underneath the image. Samsonite DK 3 Spinner Samsonite 25" 15lbs $$ 9.5/10 My #1 recommended suitcase. The Samsonite DK3 is a high-quality, durable, and a stylish yet practical suitcase. Skyway Luggage Superlight Skyway Luggage 28" 11.8lbs $ 8.5/10 The Skyway Luggage Mirage is an an excellent choice when looking for a bigger-sized lightweight suitcase with lots of packing space. It Luggage Megalite IT Luggage 26" 6.8lbs $$ 8/10 This IT Luggage is megalight and therefore gives you lots of packing space for your next holiday. 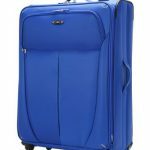 American Tourister Ilite Max American Tourister 25" 9.6" $ 8/10 The American Tourister offers great value for money, is durable, easy to roll and offers 5 different colors. The Samsonite DK 3 Spinner is one of our top choices for soft-sided spinner luggage. Because of its four multi-directional spinner wheels, the Samsonite DK3 rolls upright and is incredibly easy to maneuver. It also means high mobility over hard and soft surfaces. The high-quality fabric (85% Polyester/15% Nylon) is resistant to abrasions, punctures or moisture. This suitcase is lightweight, durable and fashionable as well. On the inside, you find two zippered pouches. There is even a removable insert for suits/shirts and an internal spill-proof pocket for toiletries. Pros: Due to the bright color this stylish looking suitcase is easy to identify on the luggage carousel. It has lots of space and extra pockets on the outside. And it doesn’t topple when fully packed. I do like the removable inserts for suits and the pocket for toiletries. Very clever and practical. Cons: We can’t see any cons with this suitcase. Maybe the bright color could become an issue in regards to seeing dirt on it. So you might have to clean it more often than a darker colored bag. Here is the good news: you can also choose from 5 more colors: Burnt Orange, Charcoal, Gray, Navy Blue and Space Blue. Our Verdict: the Samsonite DK3 Spinner 25, Orange Zest is our number one choice because it is stylish yet practical, made with sturdy and durable material. We love the fact that it is easy to handle and doesn’t topple when fully packed. An extra plus is a removable pack for suits and the spill-proof pocket for toiletries. Well done Samsonite! The Victorinox Avolve 2 is a stylish looking, spacious suitcase which is easy to maneuver with its four wheels. It is an expandable and very sturdy bag. The comfort grip one touch handle locks into two different positions. The inside features compression straps and a full-length zippered mesh pocket for storing small items. This bag is easy to push and guide even though it is on the bigger side. Pros: This suitcase has lots of storage space, but it also keeps the balance when fully packed. We love that it has a removable attach-a-bag strap so you can secure an additional bag to the front of the suitcase. Another big plus is a 10-year warranty for peace of mind. The suitcase also features a Travel Sentry approved lock so TSA screeners can open the lock without breaking the lock. Cons: The size might be an issue for some. You need to keep an eye on weight restrictions. Because of the storage capacity, you might be tempted to pack more. The price tag is a bit higher than the other reviewed suitcases. Our Verdict: the Victorinox Luggage Avolve 2.0 27, Black is a spacious and stylish looking bag. The fabric and zippers are sturdy and durable. The 10-year warranty gives you a great peace of mind. This checked spinner luggage is an excellent choice for your next vacation. The Skyway Mirage suitcase is expandable, made from durable fabric with high reliability. 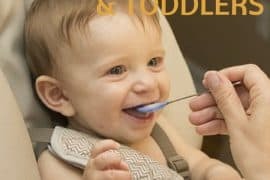 The handle has got multiple locking stages which are great for taller people as well. It features a full-length mesh pocket ideal for undergarments, belts, and other small items. It keeps them safe in one place. Built-in elastic shoe pockets help keep things organized. The zippers work great, and the four wheels glide smoothly. Pros: The Skyway Mirage stays balanced when fully packed. It is exceptionally lightweight for its size. The bright color means you can spot it at the luggage carousel with ease. Cons: The bright color shows dirt quickly but it also easy to clean. Just something to keep in mind. Otherwise, there are no other cons to add. Our Verdict: The Skyway Mirage Superlight 28-Inch 4 Wheel Expandable Upright, Maritime Blue is an excellent choice when looking for a bigger-sized lightweight suitcase. It is expandable and has lots of packing space. The fabric is sturdy, and the zippers work great. The inside mesh pockets help to get things organized. The most significant advantage with this suitcase is that it is ultra lightweight. It is on average three to five pound lighter than other bags. That means you can pack more clothes and other gears without worrying about weight restrictions set by the airlines. The bag comes with two zippered pockets on the outside and four net pockets on the inside of the lid. The suitcase has got no inside pockets. So it might be a good idea to get packing cubes. The It Luggage is sturdy and easy to maneuver. Pros: The IT Mega Lite Luggage is a lightweight but also sturdy suitcase. It comes with a limited 10-year warranty. You can choose from five different colors. Cons: The back of the suitcase has no padding, and the bag is not expandable. The zippers don’t seem to be very sturdy. 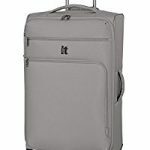 Our Verdict: The IT Mega lite Luggage Spinner Collection 26 Inch Upright is a highly lightweight suitcase. It is excellent if you love to pack lots of gears without worrying about weight restrictions set by airlines. You might have to invest in getting Shacke Pak – Packing Cubes to protect and organize your belongings. This suitcase has four, multi-directional spinner wheels, so it is effortless to maneuver. The top and side carry handles are integrated into the case. The interior is fully lined with two inside pockets, one with mesh and one with plastic. There are two large front panel pockets for additional packing capacity. It is super lightweight and sturdy as well. Pros: The American Tourister is lightweight and has got lots of storage space. It is easy to handle, the wheels working great and the fabric is sturdy. It also comes with a warranty. Cons: There seems to be an issue with the zippers. They don’t appear to be sturdy in some cases. Our Verdict: the American Tourister Ilite Xtreme Spinner 25″ is excellent value for money. It is super lightweight, sturdy and has lots of storage space. We love the fact that you can choose from 5 different colors. Here is our handy comparison chart where you can see essential features like size and weight at a glance. To check the price, please click on the image. 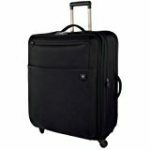 DelseyHelium Aero Delsey Paris 25" 10.2 lbs $$ 9.6 A high-quality spinner luggage; great for international travel. Samsonite Winfield2 Fashion Samsonite 24" 9.3 lbs $$ 9.5 A stylish hard sided spinner luggage with two fully divided compartments inside. Lily Bloom Luggage Lily Bloom 28" 9.1 lbs $$ 9.5 Stand out of the crowd with beautiful design patterns and enjoy a 2-year-warranty. Samsonite Omni PC Samsonite 28" 11 lbs $$ 9.5 The Samsonite Omni PC comes with a 10-year-warranty. 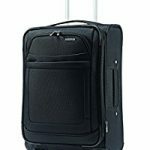 Kenneth Cole Expandable Luggage Kenneth Cole 25" 10 lbs $$ 9.4 A sturdy and scratch resistant spinner luggage with a locking handle system. The Delsey Helium Aero expandable spinner is a high-quality hard-sided suitcase which is made from polycarbonate. This durable and resilient material prevents cracking of the outside shell. This checked spinner can expand by 2 inches for more packing space. Being able to gain more space is so important especially after a long vacation when you want to bring home lots of souvenirs and other items. It is easy to get organized with lots of different meshed pockets and zippers inside. Pros: The eight wheels move in all directions and make it easy for your body to move this spinner suitcase on all sorts of terrain, even cobblestone. We also like the seven different color choices. It doesn’t topple over even when it is fully loaded. For additional security, there is a TSA lock on the side. Cons: A few customers found that the exterior scratches easily. Our Verdict: The Delsey Helium Aero 25″ is a high-quality, durable, stylish looking expandable hard-sided suitcase which is one of the most popular luggage choices on Amazon. It is an excellent lightweight spinner for international travel. The Samsonite Winfield Fashion hard-sided spinner makes traveling in style easy. Choose from different colors and find your luggage at the baggage claim in a flash. The Samsonite features a side mounted TSA lock and offers a heavy-duty zipper closure. The inside compartment has a full zip divider for getting your luggage organized. The exterior is made from 100% polycarbonate that makes this spinner lightweight with only 9.3 lbs. Pros: The four wheels move in all directions that makes it so easy to maneuver this high-quality suitcase. The locking telescope handles will also suit taller people. Cons: It seems to scuff and scratch easily. Some customers had issues with the zippers. Our Verdict: The Samsonite Winfield Fashion is a robust and durable spinner luggage that is easy to maneuver and has lots of storage space. The Lily Bloom luggage collection for women has such a gorgeous and stylish design pattern that makes you stand out from the crowd. You can choose from six different design patterns in vibrant colors that will suit most tastes. What we like most is that the signature fabric is produced from recycled plastic bottles. What a clever idea! The lightweight construction, ergonomic handles, and spinner wheels making it easy to take this luggage on your next vacation. Pros: The most significant advantage for us is the beautiful design but also the fact that the Lily Bloom spinner luggage is easy to maneuver. Cons: The size of 28 inches might be too generous for some people, but you can choose a smaller size also. Our Verdict: Traveling in style is made easy with the gorgeous Lily Bloom rolling luggage. It is a sturdy spinner suitcase that stands out with its vibrant colors. Samsonite is well-known for its quality products, and the Samsonite Omni PC is no exception. It even comes with a limited 10-year warranty. You can even choose from fourteen different colors which is quite impressive. The 100% polycarbonate construction makes sure that the exterior is scratch resistant. For easy handling, there are top and side handles, and a TSA lock ensures that your belongings are secured. Pros: We do like the many color choices and that this spinner luggage is expandable. It smoothly glides over any terrain which makes pulling the trolley case so much more comfortable on your body. Cons: There are not many storage dividers to get your belongings organized. Some customers felt that the Omni PC is not as of high-quality than other Samsonite products. Our Verdict: The Samsonite Omni PC is a reliable and sturdy hard-sided spinner luggage with an impressive 10-year-warranty. The Kenneth Cole Expandable Spinner Suitcase is another example of a great hard-sided rolling luggage with four colors to choose from. It features top and side carrying handles and expands to an impressive extra 30% more storage space. Our favorite part is how easy it to get organized with lots of storage compartments. That includes an elastic shoe pocket, accessory and zipper pockets. Pros: A big plus is the handle locking push button system and the extra corner protection. The exterior seems more scratch resistant than other hard-sided suitcases according to various customer reviews. Cons: Some customers had issues with the zipper. Our Verdict: You can’t go wrong with the Kenneth Cole spinner luggage; it is durable, sturdy, and slides thanks to the eight-wheel system quickly. What size travel luggage you should choose depends on the lengths of your vacation. We have found that a medium-sized suitcase of 25″ fits our needs perfectly even for more extended vacations like overseas travel. We have included 28″big suitcases in our reviews because everyone is different – some pack lighter and don’t need a lot of luggage. Other travelers need more luggage on their vacation. In general, all our reviewed top picks of rolling luggage are available in smaller and larger sizes. One thing to bear in mind is when you use a 28 ” (or bigger size) suitcase that it is very easy to overpack and go over the weight limitations set by the airlines. Our best tip: We use a 25″ spinner luggage plus a carry-on bag (find the best carry-on luggage here) and make the most of the packing space. We only pack one-third of the checked luggage to have some room for souvenirs on the way back home. A spinner luggage sits on four wheels rather than two wheels and has many advantages to the two-wheel suitcases. The four wheels (sometimes eight wheels) are designed to move in a 360-degree direction. That means you can change directions very easy without putting much strength into the movement of the trolley. The modern spin technology allows the wheels to glide effortlessly over any terrain, even cobblestone. The spinner rolling luggage is less likely to topple over when fully packed. The suitcase can be moved in an upright position. Because the spinner suitcase glides smoothly, thanks to the four wheels, there is much less effort required to pull the luggage along. That means less strain on your arms and shoulders. An integrated TSA lock if possible. We like to use packing cubes to organize our luggage. We use one for dirty laundry, one extra cube if we stay overnight in a hotel on our way to our destination, one for underwear, tops, shorts and so on. It makes life so much easier. As mentioned before, we only pack our one-third of the checked luggage to leave room for souvenirs, etc. Roll your clothes, and you will be amazed at how much more you can fit into your suitcase. Always pack some spare clothes in your carry-on luggage. You never know where your checked baggage goes to. It happened to us a few times. It’s a great idea to use luggage straps belts to secure your suitcase just in case the zipper breaks. It also helps to spot your luggage at the baggage claim area. 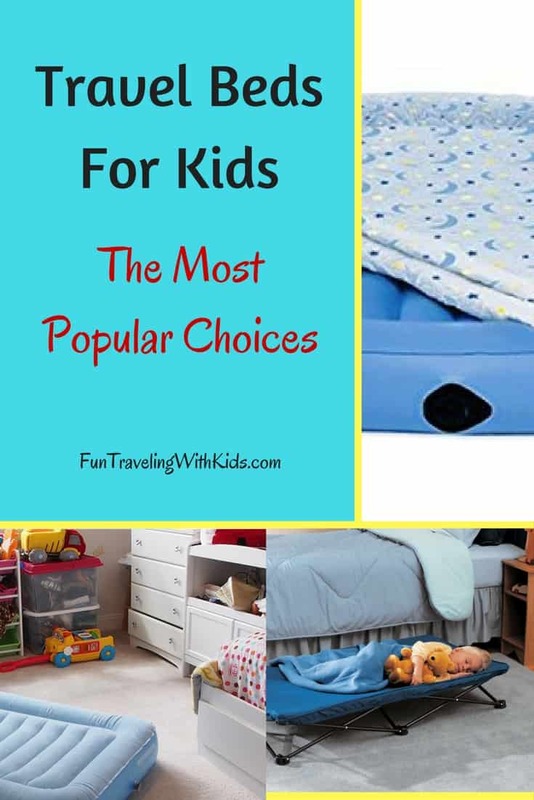 When you choose your favorite spinner suitcase it comes down to your taste, your budget, how often you travel, the length of your vacation and how much packing space you will need. In general, we prefer a colored suitcase, so it is easy to spot in between other luggage bags. We like the Lili Bloom luggage for its fantastic design patterns and 2-year-warranty. The Victorinox soft-sided spinner suitcase is impressive because the company offers a 10-year warranty. 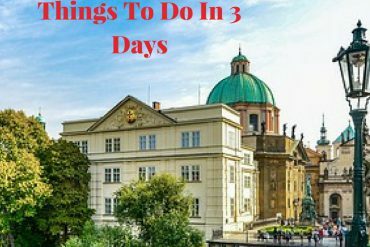 For frequent travelers, this will be a must and worth to spend the extra money. 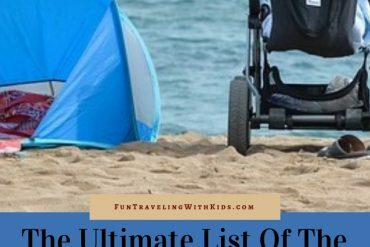 We do hope that our top picks of the best lightweight, soft-sided and hard-sided spinner luggage will help you to make the best decision for your travel needs. Read here to find the best carry-on luggage on wheels. Also, you can read more about our collection of the best travel accessories for international travel. 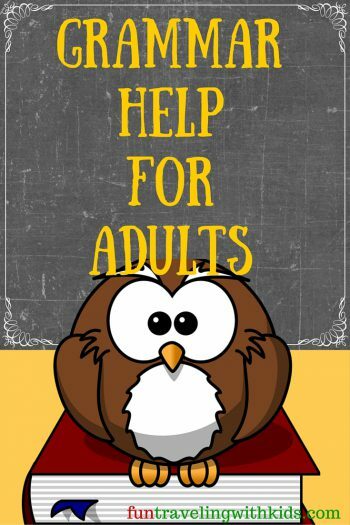 We are sure you will find them as helpful as we do. Liked this post? Please share it with your friends and family.